In a rising market, sellers may become reluctant to close an agreed deal, hoping to obtain a higher purchase price from a new buyer. Likewise, in a stable or falling market, buyers may want “out” of a deal hoping they may obtain a better one from a new seller. In either situation, how may you, buyer’s broker, protect and exact your right to a commission on a deal well put together but “heading south”? What practical tips may you employ? And what legal remedies work for you? In a rising market, sellers may play one buyer’s offer against another, hoping to obtain the best available terms, e.g., highest purchase price, most available down payment, most available cash toward the purchase. This is commendable through obtaining an enforceable purchase agreement with a buyer, but once obtained in writing, seller’s game-playing must stop, for it threatens your right to a cooperating broker’s commission on your initially accepted buyer’s offer. a) Make sure that the terms of your (pre-qualified buyer’s) offer are numerically definitive, e., that the financing terms buyer is to meet are specifically spelled out in the offer, e.g., type of financing, e.g., conventional or otherwise, amount to be financed, interest rate ceiling, and amount of down payment. If the financing terms are omitted in whole or in part, you’ve left the deal open to future agreeing by seller, giving him an “out” clause. b) After seller accept buyer’s offer, rather than having buyer demand that seller perform certain repairs (to buyer’s satisfaction), consider making a separate repair list and their anticipated costs, and ask the seller to grant buyer a credit for buyer to perform them himself. If seller agrees, this eliminates seller’s right to cancel rather than perform such repairs/improvements. Also, this eliminates your having to monitor seller’s adequate performance of them, which otherwise can prove time-consuming and fraught with disagreement by buyer, threatening delay or escrow not closing. What are buyer broker’s legal remedies to encourage the newly reluctant seller to consummate escrow? a) Buyer may be entitled to “specific performance” [Cal.Civ.Code § 3287] to compel seller to consummate the deal if seller has anticipatorily repudiated, i.e., breached, his obligation to sell. This requires convincing the buyer to file suit against seller, and may include your claim for a cooperating broker’s commission presently being denied to you. Such suit must be accompanied by a “notice of pending action” [Cal.Code.Civ.Proc. 405.2] recorded with the county recorder’s office, thereby notifying the world that good title may pass only to your client. Typically buyer’s asserts in the complaint a right to recover buyer’s attorney’s fees to be incurred in prosecuting the suit, making seller “think twice” about holding out for better terms or for a new buyer. Most “specific performance” suits settle quickly, for the anticipated legal costs of going through mediation and then arbitration may be prohibitive to the parties. 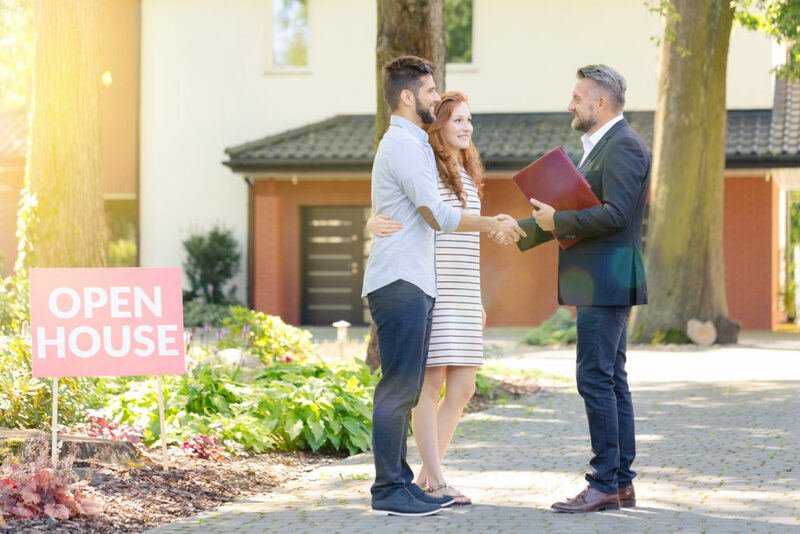 Although you represent buyer, if your offer allows buyer too many opportunities to back out of the deal without forfeiting his/her down payment, you are risking ever closing the and not getting paid for your time. So leave as little to “buyer’s satisfaction” repairs or improvements to be performed during escrow by seller. Rather, on a separate sheet of paper stack up the list of such items and their real costs as leverage to convince seller to reduce the purchase price so he/she doesn’t have to deal with them. Convince your buyer that he should later rely on your recommended contractors, not seller’s, to perform the repairs to his, buyer’s satisfaction, telling buyer that this way he’s in control, not seller. In negotiating the deal for buyer, have buyer initial the contract’s arbitration clause. Forcing buyer to go to arbitration rather than to trial encourages an early resolution of any dispute. The brokers may agree to join in the arbitration, thereby resulting in a quicker payment of your commission than in court. contingencies such as loan qualification soon, thereby eliminating such contingency so buyer can’t thereafter back out of the deal without losing his right to a refund of his down payment, – generally 3% of the purchase price for residences. You want your buyer “locked in,” i.e., committed to performing, rather than being wishy-washy about it, for your time is valuable and you prefer certainty and seriousness of purpose in your deals. If you sense seller’s or buyer’s remorse, consider obtaining the advice of legal counsel, who may help you steer the deal through, creating leverage where needed, thereby ensuring that you get paid. A good three-way strategy session in his/her office between you, buyer, and legal counsel may encourage a quick resolution of the dispute with seller.